Amazing day in Ann Arbor on Monday. 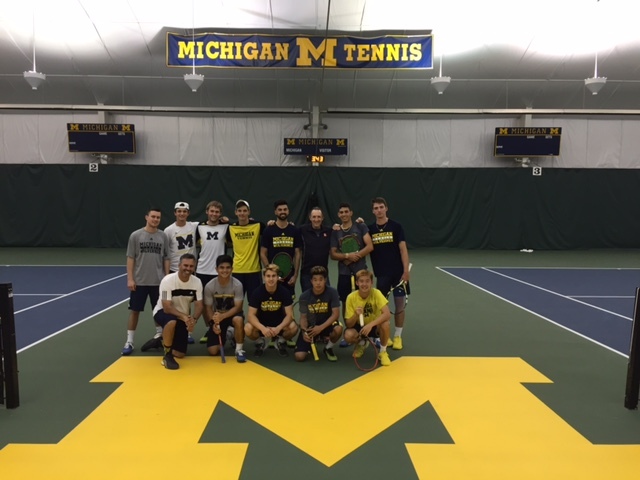 Presented my storytelling model for high performance to the #24 ranked Wolverine tennis team as they prepare for the NCAA championships. These young men gave me their undivided focus for nearly 3 hours in their quest to be extraordinary individually and collectively. Smart, dedicated, focused, committed, open. They willingly shared stories of what hold them back and then, instantly, created new stories that will help them fly…. WOW, Bob, What a thrill for you and The Michigan team! You have so much for these young men to learn from and it seems as they were a willing bunch..Wish you had video/audio/script of the session; like you posted in your speech for the Tennis Congress. ← Facing a Tough Decision?